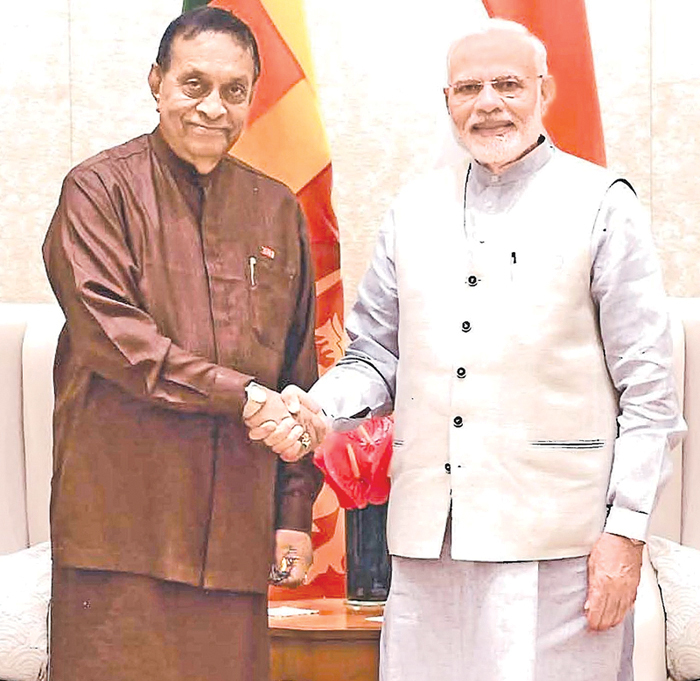 A Parliamentary delegation led by Speaker Karu Jayasuriya met Indian Prime Minister Narendra Modi yesterday. The Speaker and Indian Premier Modi held bilateral discussions for about 45 minutes. The Sri Lankan delegation also included Ministers Nimal Siripala de Silva, Rauff Hakeem, Gayantha Karunathilake, Mano Ganesan, Opposition Leader R.Sambanthan, MPs Douglas Devananda and Vijitha Herath and Parliament Secretary General Dhammika Dasanayake.